Owing to our years of experience, we are capable of manufacturing, supplying and wholesaling Intelligent Vector Control Micro Drive. 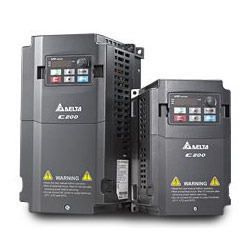 These drives are designed in accordance with industry standards, using quality high-grade components and spare parts that are procured from the certified vendors of the market. Further, we stringently check all the spare parts on various parameters to assure zero defects. Edge bending machine, elasticizer, etc. General Purpose AC Micro Drive. 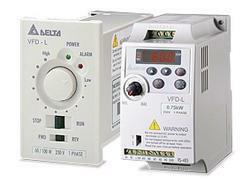 Delta Electronics most cost effective general purpose drive. 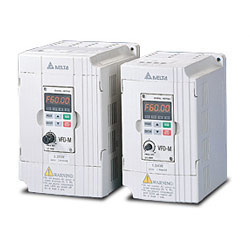 The VFD-L series drive is famous for its low-noise carrier frequency feature and easy to use keypad. Conveyer belt; fan of drying machine, etc. We are among the reputed organizations, engaged in manufacturing, supplying and wholesaling Sensorless Vector AC Micro Drive. Used in washing machines, small size cranes and elevators, these are provided in various models and specifications at market leading prices. Our products can also be customized as per the demands and needs of customers. Water supply system for large buildings, etc. 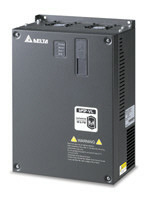 Since our inception, we have been successfully manufacturing, supplying and wholesaling DELTA VFD-C2000 AC Drive. Designed to perfection, our offered drives are made under the supervision of experts, utilizing quality spare parts and components. Furthermore, our drivers are properly checked by expert quality controllers on various parameters to ensure flawlessness. 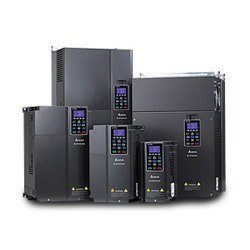 Backed by our efficient workforce, we are capable of manufacturing, supplying and wholesaling Delta C200 Series VFD. All the offered products are designed and manufactured using quality components to ensure that final output meet with international quality standards. In addition to this, we provide on-time delivery at clients’ end with the help of our distribution network. 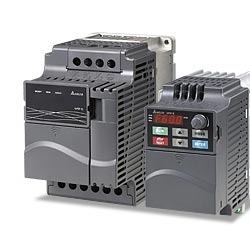 We have carved a niche amongst the most trusted names in this business, engaged in offering comprehensive range of Delta AC Drive-VL Series - Elevator Motor Drives. 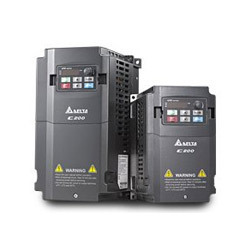 Looking for Variable Frequency Drive ?